From left: Loudoun County Board of Supervisors Chair At-Large Phyllis J. Randall, FCi Federal Founder and Chairman Sharon D. Virts and FCi Federal CEO and President Scott Miller are joined by Rep. Barbara Comstock for the launch of the Sharon D. Virts Foundation. FCi Federal Founder Sharon D. Virts announced Aug. 15 the launch of the Sharon D. Virts Foundation, a nonprofit 501(c)(3) established to focus on the fundamental pillars required to support a thriving community – education, culture, health care and opportunity. 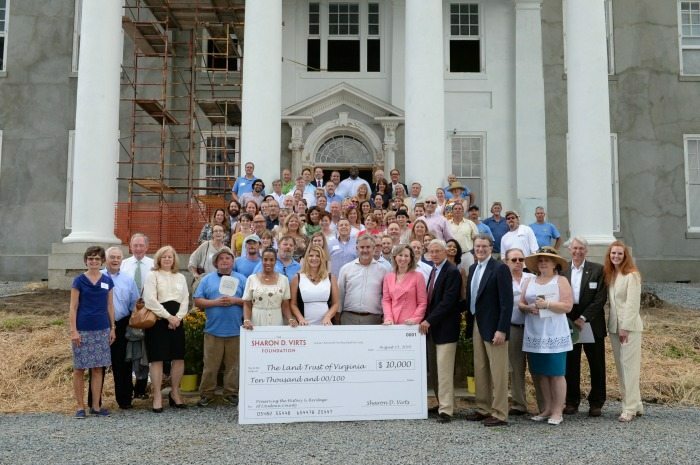 In its first award to reflect one of the foundation’s core missions — assisting with historical and cultural preservation — Virts presented a $10,000 check to The Land Trust of Virginia board member James E. “Jim” Rich. The Land Trust of Virginia partners with private landowners who voluntarily protect and preserve properties with significant historic, scenic and ecological value to benefit the community through conservation easements. Virts is active in the Loudoun community, serving as chair of the Loudoun Economic Development Commission; member of the CEO Cabinet for the Loudoun County Chamber; board member of the Dulles Corridor Rail Association; director of Loudoun INOVA Hospital Foundation; adviser to the board of trustees of the Hill School in Middleburg, Virginia; and member of 100WomenStrong. She lectures nationally on leadership development and small business growth. 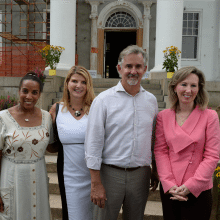 On the Steps of Selma Mansion, FCi Federal Founder Sharon D. Virts launched her family foundation, the Sharon D. Virts Foundation with FCi CEO and President Scott Miller, Rep. Barbara Comstock, Loudoun County Board of Supervisors Chair At-Large Phyllis Randall and event guests.